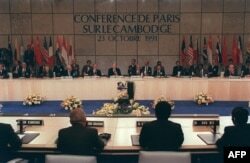 Editor's Note: Although the Paris Peace Accords were signed more than 24 years ago, Cambodia has fallen short of the true peace the agreement envisioned. That's according to Cambodian scholar Sirik Savina, a doctoral student at Kent State and director of the Museum of Memory at the Sleuk Rith Institute. In an essay for VOA Khmer called "War, Genocide and the Fragile Peace of Cambodia," Sirik Savina argues that the scale of Cambodia's war-time legacy is so powerful that peace-building and true social justice will require more than one generation to accomplish. Education and non-violent social change processes are key to achieving real peace, she tells VOA Khmer's Soeung Sophat in an interview. 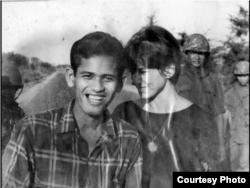 I recently read the personal story of a war correspondent during the Vietnam War, Kate Webb. 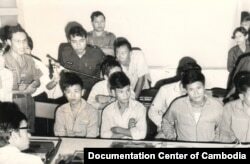 She was captured by North Vietnamese troops in 1971 in Cambodian territory. She described in detail her abduction and detention, and her personal emotions about what happened. Her recollections of the chaotic situation in Cambodia and Vietnam during that time remind me of many other personal accounts of Cambodians who lived through the civil war (1970-75) and the genocide during the Democratic Kampuchea period (1975-79). One common theme I found in those accounts was that war and genocide were indiscriminate. Whether you were a soldier who waged war or a civilian who escaped the war, they did not discriminate. Wars haunt to the core of the soul. And they would definitely make you vanish from the world in no time. 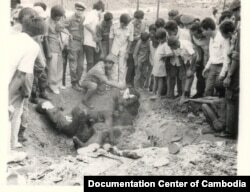 War and genocide in Cambodia and elsewhere are destructive, and their legacy remains with the individuals who go through them long after they end. However, they do not only leave permanent scars on the lives of direct survivors, they also have immense impacts on the whole of society and on many generations that come after them. I have never experienced war first hand. 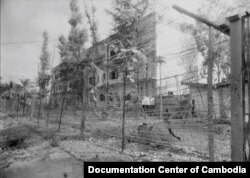 However, the stories of those who experienced war—whether they were direct survivors, citizens of a country at war, outsiders who were trapped in the war or reporters who captured the images of war—struck me to the deepest level. I could feel their fear of death, their strength to survive and ultimately their bravery to recover from trauma. I am fortunate to be living a life without war. However, the positive peace promised by the Paris Peace Agreement signed on October 23, 1991, has hardly been achieved. The recent 24th anniversary of the Paris Peace Agreement makes me consider the challenges we are facing today: the challenges left behind by war and genocide. I was born into a family that survived war and genocide. 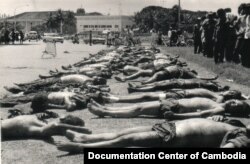 Following the Khmer Rouge regime, they worked hard for our survival. They made sure that I had enough to eat and that I received a proper education. My family has sacrificed a lot for my own growth. Not many girls and boys at my age have enjoyed such privilege. However, children of my generation share one thing in common: We grew up under the same conditions. Our families started everything from scratch following the Khmer Rouge years. 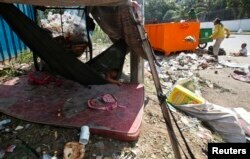 We grew up in a time when Cambodia was recovering from the war and genocide that gripped the country for many years. My family and many other Cambodians strived to rebuild their lives. Despite all the difficulties, many of us manage to lead better lives. At the very least, we manage not to go hungry. To this day, I still see the struggle that Cambodian people go through on a daily basis. I have always hoped that I was among the last generation who had to experience the struggle shared by survivors in the post-genocide era. When a new generation arises, the growth of our country does not ensure lasting peace and prosperity for each life. I still see children going hungry, being unable to go to school, suffering from domestic violence, abuse, discrimination and exploitation. It happens right in my neighborhood, to my own relatives, and it occurs in front of my eyes. When I turn around, I see children left hungry and begging on the streets. I keep wondering why, after a generation has passed, they still cannot meet their basic needs. Why can’t they have enough to eat and why can’t all children go to school? What does the Paris Peace Agreement do to help improve people’s lives? 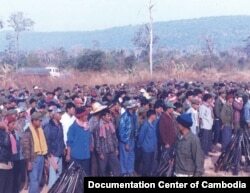 The destruction of war and genocide in Cambodia did not end at a ceasefire, a peace agreement or a national election. Without resolving its root causes, it continues to live with us on a daily basis. The legacy of war and genocide affects the living conditions of all people; it leaves behind all types of violence, ranging from direct to structural violence. Not only does it have tremendous impacts on the wellbeing of individuals and the society, the impact of violence is transferred from one generation to the next. While direct violence may have reduced in its intensity, structural violence that is deeply rooted in our society has not faded easily. We still have to deal with inequality in access to education, the problems of human trafficking, child labor, environmental degradation and the cycle of poverty among the majority of the population. The obscurity of such violence has left most of us blind to the solutions. But what we should remember is that violence has not been blind to us, it is embedded in our society at all levels, from the individual to institutions. We know that war was unkind to people. It took life and inflicted pain and loss on people. However, even after the war ended and a peace agreement was signed, there is still no guarantee for true peace. Violence continues to take place in our society. It is obscured from our eyes, but deeply entrenched in our everyday life. The structural violence we face everyday is the true challenge in an apparently peaceful period. The official end of armed conflict was only the beginning of a long journey for Cambodia to deal with the real challenges. Each and every one of us has an obligation, in our own capacity, to end this long cycle of violence. The process did not take a generation as I personally hoped for, but will most likely take the lifetime of a person, or even many generations. Kate Webb said in the epilogue of her book that she wished to meet with her abductors again under different circumstances. Kate Webb’s experiences occurred during wartime. After the war, if the soldier had survived and if she managed to meet him, her wish would have been fulfilled. 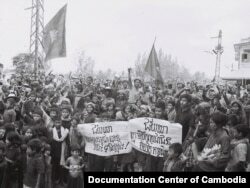 In Cambodia, war and genocide ended more than 30 years ago, and a peace agreement was signed 24 years ago, but we are still far from a positive peace. Savina Sirik is a graduate of the Peace and Conflict Studies program at Coventry University, UK, and is currently a PhD student at the Department of Geography at Kent State University. 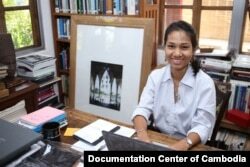 She is the director of the Museum of Memory, a project at the Sleuk Rith Institute—A Permanent Documentation Center of Cambodia.